Lowering risk of cancer, diabetes and Alzheimer's disease. They may also help alleviate depression, asthma, painful periods, and rheumatoid arthritis. However, the evidence is less compelling in these areas. Many people take omega-3 supplements or eat a diet rich in omega-3s, in order to combat inflammation. Chronic fatigue syndrome is believed to be associated with pro-inflammatory cytokines. Some research suggests that fibromyalgia may involve inflammation of the fascia. We don't know yet whether they help counter the cognitive dysfunction ("fibro fog") or unique pain types of these conditions or the cardiovascular irregularities that are common in chronic fatigue syndrome. Some health professionals recommend that people who don't eat a diet rich in omega-3s take 500 milligrams a day in supplements. Doctors may recommend that people with certain conditions, such as heart disease, take more. It's important for you to discuss your supplement needs with your doctor. Just because omega-3s are natural doesn't mean they're safe for everyone or in any amount. It's important for you to be aware of possible side effects. Some people don't like the "fishy" taste these supplements can leave behind. Taking them with meals can help alleviate this problem as well as other side effects. It may also help to start with a low dosage and gradually increase it. While rare at lower dosages, omega-3s may increase your risk of bleeding problems, including a type of stroke. Higher doses may also be linked to nosebleeds and blood in the urine. A blood sugar increase in diabetics is possible but unlikely. It's always a good idea to talk to your doctor about supplements you'd like to try so you can make sure it won't be a problem with any of your other medications or conditions. 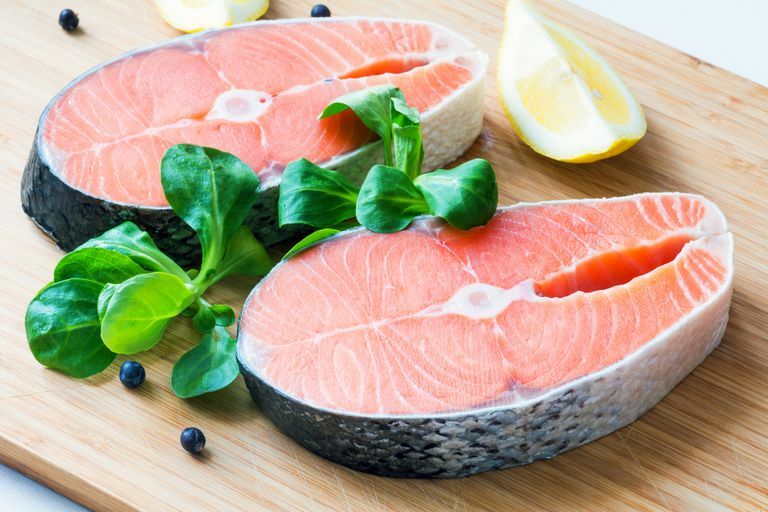 However, omega-3 is generally considered safe and is readily available anywhere that sells supplements, so it's an easy one to add to your treatment regimen. Dyall SC, Michael-Titus AT. Neuromolecular medicine. 2008;10(4):219-35. Neurological benefits of omega-3 fatty acids. Ko GD, et al. The clinical journal of pain. 2010 Feb;26(2):168-72. Omega-3 fatty acids for neuropathic pain: case series. Maes M. Progress in neuro-psychopharmacology & biological psychiatry. An intriguing and hitherto unexplained co-occurrence: Depression and chronic fatigue syndrome are manifestations of shared inflammatory, oxidative and nitrosative pathways. Maes M, Mihaylova I, Leunis JC. Neuro endocrinology letters. 2005 Dec;26(6):745-51. In chronic fatigue syndrome, the decreased levels of omega-3 poly-unsaturated fatty acids are related to lowered serum zinc and defects in T cell activation. Ozgocmen S, et al. Rheumatology international. 2006 May;26(7):585-97. Current concepts in the pathophysiology of fibromyalgia: the potential role of oxidative stress and nitric oxide. Ozgocmen S, et al. Rheumatology International. 2006 May;26(7):598-603. Antioxidant status, lipid peroxidation and nitric oxide in fibromyalgia: etiologic and therapeutic concerns. Ozgocmen S, et al. International journal of clinical pharmacology and therapeutics. Effect of omega-3 fatty acids in the management of fibromyalgia syndrome. Shaver JL, et al. Journal of women's health. Self-reported medication and herb/supplement use by women with and without fibromyalgia. Tamizi far B, Tamizi B. Medical hypotheses. 2002 Mar;58(3):249-50. Treatment of chronic fatigue syndrome by dietary supplementation with omega-3 fatty acids—a good idea?